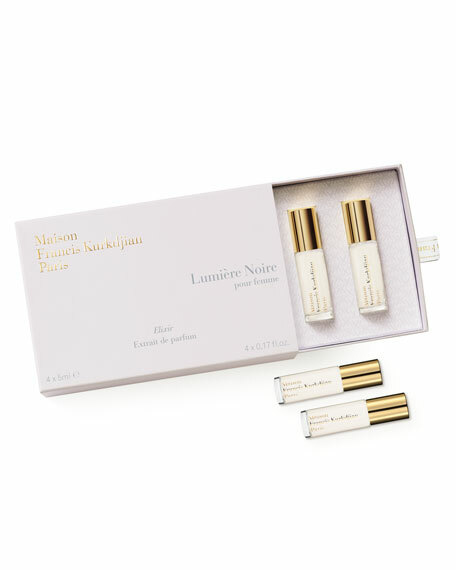 Packaged in an elegant gift box, Les Elixirs in Lumiere Noire pour Femme are four purse-size, deluxe roll-ons featuring an extrait-de-parfum concentration of our chic and mysteriously alluring scent. Spiced Rose (with cumin and cinnamon). 4 x 5.0 mL/ 17 oz. Set of four 5ml/0.17-oz. bottles.